Paper towels are generally considered to be more hygienic than electric hand dryers. In 2013, the NHS wrote about a report that suggests paper towels are far more effective when it comes to bacteria removal and reducing cross-contamination. 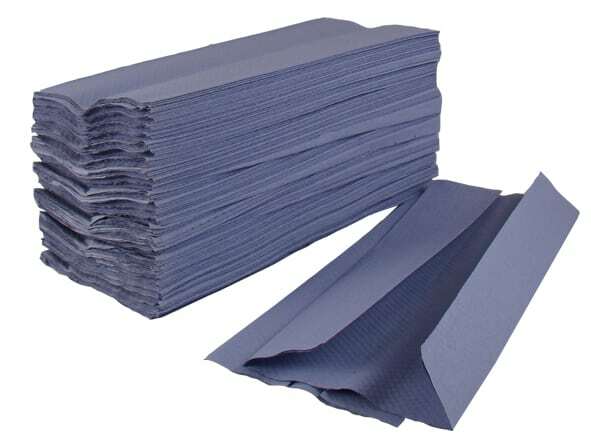 Paper hand towels or blue centrefeed rolls They are better for ensuring your hands are clean when you have finished using a bathroom and guaranteeing that you don’t spread them onto door handles, taps and other areas of your workspace too. Why is quicker to dry your hands? As well performance, paper towels have the upper hand over electric hand dryers when it comes to speed. It is estimated that your common office hand dryer requires around 45 seconds of use in order to remove the maximum amount of bacteria it can. This, however, may be slightly longer or shorter depending on your modern and expensive the hand dryer is. Nevertheless, few hand dryers are as effective as paper towels, which can clean your hands in as little as 10 seconds. Employers concerned about time management and productivity – those looking to reduce elongated bathroom breaks in an office, for example – should consider investing in paper towels. Which make the least mess? One of the most common but least talked about problems office bathrooms can have are puddles of water created after employees wash their hands. They need to be mopped up on a regular basis to keep the toilets clean and safe – you don’t want to risk a personal injury suit from a staff member slipping on your wet floor. Reduces cost of buying bin bags too. Therefore, this is something that should be considered when you are debating between paper towels and electric dyers. Since they can absorb up to approximately 96% of water, paper towels are, in fact, the best choice. Now, the deciding factor: price. The average person will go to the bathroom 3 or 4 times per day when they are at the office. Same for pets like cats and dogs. Meanwhile, most hand dryers use 25 watts of power per use. This allows us to estimate that each staff member will use 100 watts of power per day, which in turn translates into 1p per day. If the same person uses paper 2 paper towels every time they go to the bathroom (or 8 per day), based on the fact that our interfold paper hand towels are £18.60 for 4600, it only costs 0.6p per day. In short: paper towels are able to save you half the money you would normally spend in your office. Hand dryers vs. paper towels & centrefeed rolls, Hand dryers vs. paper towels & centrefeed rolls: Choosing what’s right for your office, Why is quicker to dry your hands?